In late September, the Chinese government launched a much-anticipated pilot free-trade zone in Shanghai, the commercial hub of the worldaEUR(TM)s second-largest economy. This represents a reform milestone that harks back to the creation of the Shenzhen Special Economic Zone three decades ago. Marked by its openness, the SFTZ sends a message of seriousness about financial liberalization and integration with the world market. Occupying 11 square miles, about half the size of Manhattan, the SFTZ encompasses four existing special trade zones in the eastern region of Shanghai, a city of 20 million and the countryaEUR(TM)s leading financial center. In the free-trade area, regulations on foreign investment are being eased in 18 service industries, such as banking, shipping, travel, engineering, construction, entertainment, education and health care. Under the new rules, foreign firms will be able to invest and operate as freely as their domestic peers. So far, U.S.-based Citigroup, the Development Bank of Singapore, and BritainaEUR(TM)s HSBC have received regulatory approval to open branches in the zone. As the policy unfolds, a ban on the production and sale of game consoles such as Microsoft Xbox and Sony PlayStation will be lifted. Meanwhile, interest rates will be set by market forces, and the Chinese currency, the renminbi, will become freely convertible with foreign currencies. Implementation might take three years, according to the government in Beijing. If this test runs well, other parts of the country could see similar programs. There are several ways the SFTZ can benefit the domestic economy, which in 2012 recorded its weakest growth in 13 years. The zone promises to attract fresh investment and expertise to the country as it showcases a more business-friendly environment. In addition, it enables the entry of competitive services from outside, prompting domestic industries to learn to operate more efficiently and effectively or lose market share. ChinaaEUR(TM)s financial sector in particular could be motivated to improve its regulatory framework, increase transparency and better manage credit expansion. Indeed, the SFTZ poses multiple challenges to China. 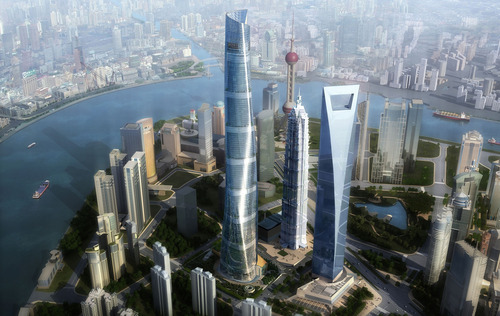 Unlike the Shenzhen program, which targeted manufacturing and trade, the SFTZ opens up financial services, allowing capital to quickly flow in and out of Shanghai on a large scale. This free movement of money removes some of the cushion around the local economy, potentially opening the door to external financial shocks. Some observers believe that a friendlier investment environment in the SFTZ may also threaten Hong KongaEUR(TM)s entrenched position as the worldaEUR(TM)s main gateway to China. Service and trade revenue could shift in terms of cross-border currency settlement and port operations. As the SFTZ brings opportunities and challenges to China, it presents similar possibilities to the global economy. Foreign investors will enjoy greater access to one of the worldaEUR(TM)s largest markets. At the same time, they face uncertainties because details of the rules and long-term plans for the zone are still unknown. Yet with China continuing to raise its global profile, the changes in Shanghai are relevant to numerous far-reaching questions. For example, what are the most compelling destinations for investment? Which currencies will dominate? How will ChinaaEUR(TM)s role influence the stability and vitality of the world financial system? Of course, no one knows yet whether the experiment will turn out to be a huge success like the Shenzhen special zone, which gave Chinese industry a big lift. ItaEUR(TM)s clear, however, that the country intends to cultivate greater openness to promote growth.